Neither Stefanos Tsitsipas, the man who finished with Federer in the second round, the finest of the emerging phenomena when it came to thriving in a Grand Slam tournament, managed to tickle Rafael Nadal. 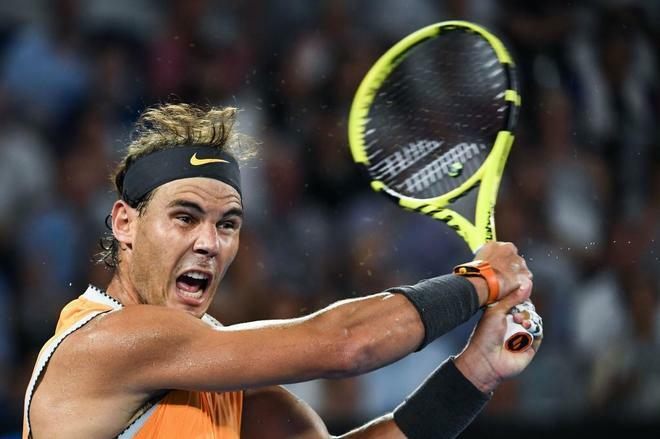 The Spaniard won 6-2, 6-4 and 6-0, in one hour and 46 minutes and will play on Sunday, at 9.30 am, against the winner of the game between Novak Djokovic and Lucas Pouille, played on Friday, his fifth final of the Australian Open. In the most demanding match of the six that has played in Melbourne, the number two in the world returned to complete a superb performance and showed that he is in one of the best moments of his career. In another show of aggressiveness and power in front of the new generations, like the one he had left before De Miñaur and Tiafoe, Nadal qualified for his thirtieth final of a big one and will seek his eighteenth major . Champion of the Australian Open in 2009, lost the finals of 2012 (Djokovic), 2014 (Wawrinka) and 2017 (Federer). As it has been developing in its first official tournament in four months, right now Nadal seems almost unapproachable. He was able to check the thrown Tsitsipas, fourteenth seed, who looked for different alternatives to try to stop the gale. His backhand to a hand, with being remarkable, does not stop being a hindrance to a left-hander who knows how to make blood like nobody in that corner. Only through an attitude close to recklessness did the one in Athens get out of the game too soon. He raised an adverse 0-40 in the fifth game of the second set, successfully looking for the net when the storm got stronger. He tried with identical formula in the ninth, before the renewed threat of Nadal, but this time he could not hold. He gave his serve for the third time in the game and in the next game was two sets down. Frustrating outcome for him, that not even raising his level very much had managed to face his adversary. Evidence of his discouragement was another resignation with the serve at the start of the third set. Alien, as usual, the marker, Nadal maintained its effectiveness, without losing the pulse of the game, against a rival who had defeated last year in the finals of the Masters 1000 of Canada and the Count of Godó. This Tsitsipas is better than that, but his progression is not enough to disturb a player who expresses his potential perhaps better than ever. The last set was an agony for the Greek, who also ended up capitulating. For the third time, the left-hander appears in the final of this tournament without giving up a set, but on this occasion he bursts stronger than ever.